The purple and teal in this yarn bring to mind the finest jewels. This exciting novelty yarn is comprised of slightly thick and thin hand dyed Merino wool plyed with a variegated cotton accent and beaded with over 350 translucent beads. 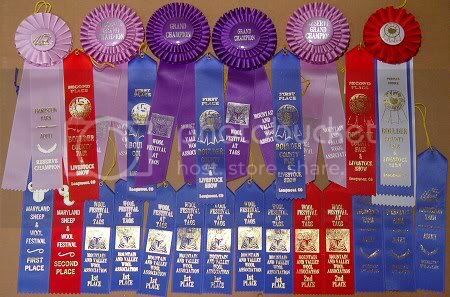 Award winning Multi - 90% Corriedale / 10% Hand Dyed Silk Noil 2-ply yarn with beads roughly bulky weight (~9-10 wpi). 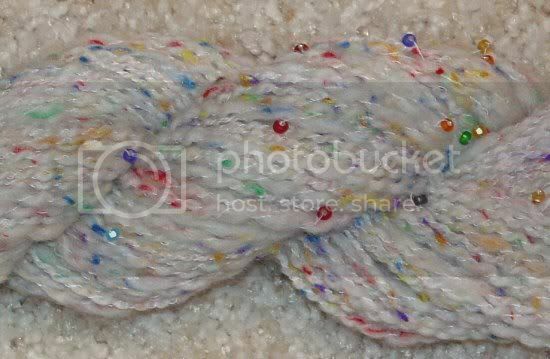 This is a burst of rainbow colored silk and beads captured in yarn. This exciting novelty yarn is comprised of soft, springy Corriedale wool (Greta the sheep lives right here in Colorado) 2-ply yarn combined with silk noil I hand dyed and~ 300 multicolored beads. This yarn would work well in a lovely scarf or hat, as well as a striking accent in a larger piece. 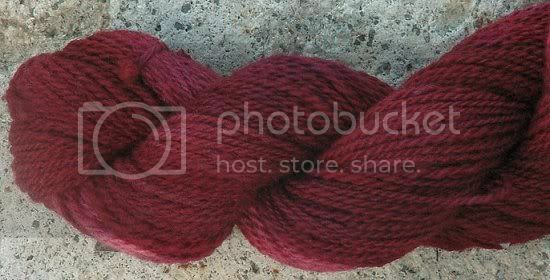 The silk adds a subtle sheen to this yarn I dyed the color of fine wine. This slightly varigated yarn is an evenly spun, soft blend of merino and silk. The name says it all for this sensational yarn. 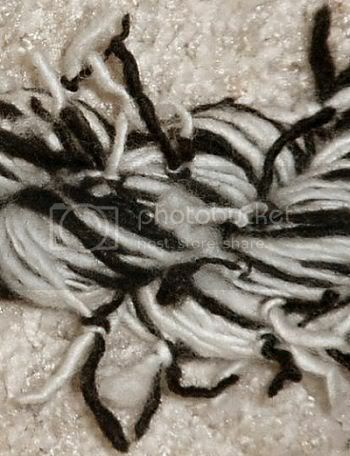 The black and white of this wool provide a dramatic contrast, in addition to the quirky tails popping out all about. This bold novelty yarn is comprised of slightly thick and thin spun single-ply yarn tied at various points. These skeins would work well in an exciting scarf or hat, as well as an accent in a larger piece. No zebras were injured in the production of this yarn. The reds and oranges of fall foliage glow brilliantly from amongst the deep green evergreens in these soft skeins. This colorful yarn is comprised of thick and thin spun single-ply merino yarn. 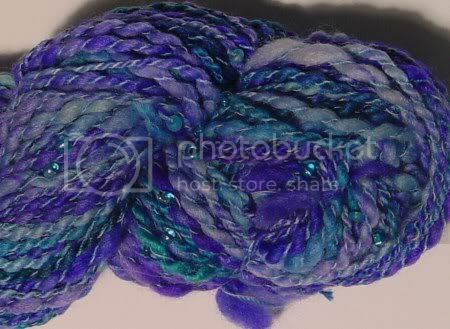 </big>Yarns available in skeins, or I can wind them into center pull balls if you would like. I am more than happy to combine shipping on additional auctions/purchases and all sales over $75.00 receive free shipping. 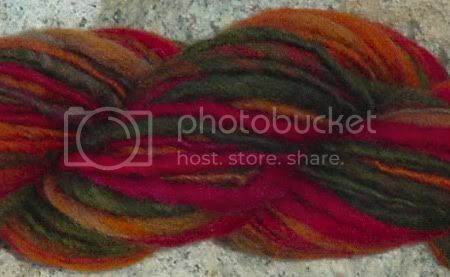 Buyer will pay shipping and handling (domestic = $4.50 for Priority Mail with Delivery Confirmation for first skein, $2.00 per additional skein) Please post all inquiries here. I accept Paypal (account to account transfer only, not credit card) and money orders/cashiers checks. Please note that due to monitor settings image may look slightly different than actual yarn. This yarn brought to you by the letter C, the number 7, and the fact that I need a new computer.